Since our beginning through today, we have been leading leaders to a fresh encounter with christ. The College of Prayer International was founded in 1997 by Rev. Fred Hartley and three other pastors who were mentored by Rev. Armin Gesswein. 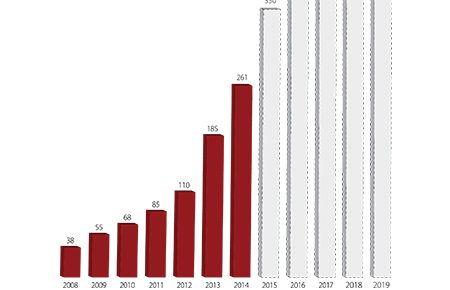 Since our beginning we have seen significant growth throughout the world. We now have over 32,000 current campuses located on 5 continents spanning over 60 countries and requests are coming in from all over the world every month to launch new Campuses. Our past and future are connected deeply to the need to mentor, train and equip Upper Room disciples and to see every church become a "house of prayer for all nations" (Isaiah 56:7; Mark 11:17). The vision for revival-prayer was born in the heart of Armin Gesswein. In the fall of 1949 Armin and a group of Christian leaders invited a young Billy Graham to Los Angeles to lead an evangelistic crusade. On one side of the street Armin led thousands of intercessors. On the other side of the street Billy preached the Gospel, hundreds were saved and a worldwide ministry was launched. Billy's evangelistic crusades were birthed out of prayer, as all evangelism should be. Throughout the following years, Armin persistently called young pastors to create an environment where they could meet together periodically to pray, mentor each other and return to their churches to put into practice what they had learned. In 1996 Rev. Fred Hartley, who was being directly mentored by Armin Gesswein, followed Armin's lead and called together pastors and spouses from around the region to come together simply to pray and seek God. About 70 gathered, many of whom Hartley would later discover were on the verge of dropping out of ministry. This group encountered God so powerfully that they recommitted themselves to the call of God on their lives and to a revived prayer life. Hartley knew he was tapping into God's heart, and the vision for the College of Prayer began to form. 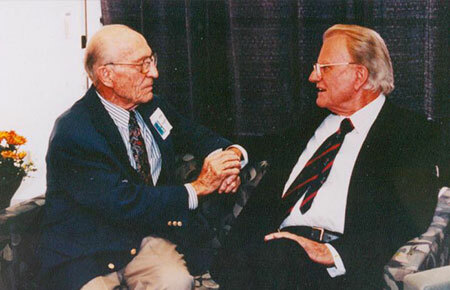 In 1997 Hartley took Armin's vision for revival-prayer and gave it organizational shape and long-term direction. 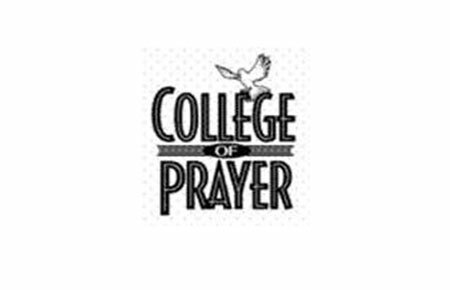 He crafted the three-year format we use and initially proposed the title of College of Prayer. Hartley, along with his wife Sherry, selected three other pastors who had gifts to compliment his own which included Rev. Don and Marlen Young, Rev. Paul and Wanda Radford and Rev. Bruce & Susan Bliss. These pastors and wives become the first Servant Leadership Team. Armin would say, "We need to get revival into our churches. God wants to manifest His presence." And that's exactly what has been happening ever since. 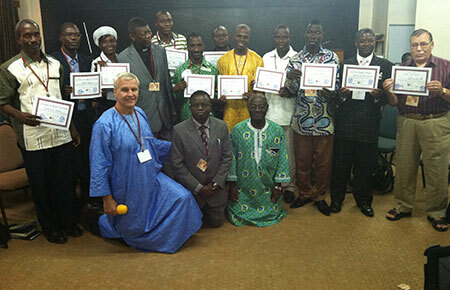 In 2004 we were asked to launch a campus of the College of Prayer in Abidjan, Ivory Coast. At that time, we had a total of 3 campuses, all in the U.S. We had no intentional plans to launch internationally ... but God had other plans. In May 2014 we celebrated 10 years of fruitful ministry in the Ivory Coast, in which tens of thousands of lives have been changed. God used this opportunity abroad to give us a vision for serving the worldwide Church. Seeing a need to further develop those who want to launch new College of Prayer campuses, our Advanced Leadership Training (ALT) was launched in 2009. The purpose of this training is to equip leaders by teaching them how build and sustain campuses of the College of Prayer. This three-day intensive training concludes with an exam and has been successful in certifying over 400 new leaders to serve at our campuses around the world. Due to our catalytic growth, we continue to seek God's direction in raising up and qualifying new leaders. As the College of Prayer continued to expand quickly around Africa, we knew it was time to bring together College of Prayer campus leaders and those interested in launching new campuses. 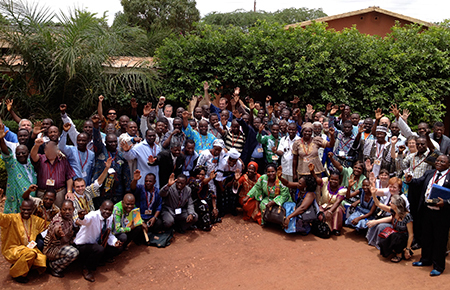 In 2009, over 75 attendees gathered at the first African Summit and came from 16 countries. 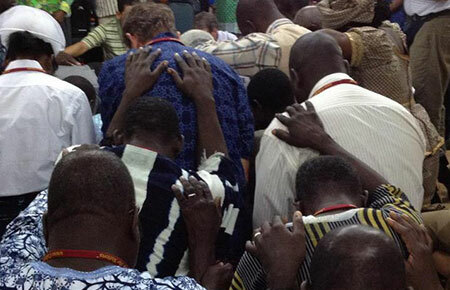 They were trained and empowered to plant new campuses of the College of Prayer in every country across Africa. This initial Summit has been catalytic to the growth of the College of Prayer throughout Africa, and we continue to hold Regional Summits. The primary way we fulfill our mission to mentor, train and equip Christian pastors and leaders to reach a lost world through a revived church is to establish campuses of our ministry. These campuses are groups of people who are committed to gathering 2-3 times each year for 3 years to go through the 3 years of our curriculum and mentorship. 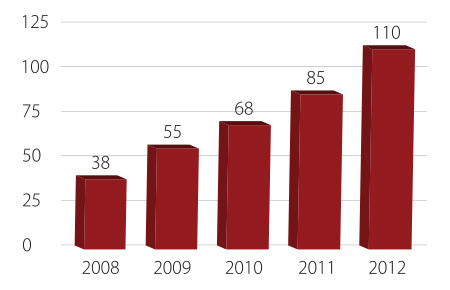 In 2012 we surpassed 100 current campuses around the world, reaching triple digits for the first time. Each campus represents groups of people whose lives are being transformed through the power and presence of Jesus Christ. In 2014 the Revival Prayer Institute (RPI), an in-depth behind-the-scenes mentoring fellowship, was launched. 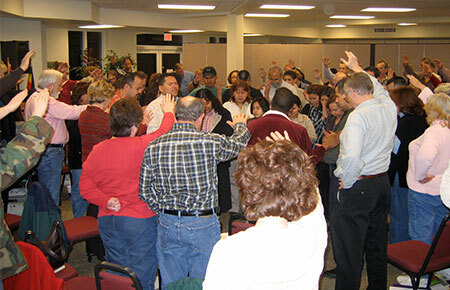 RPI is made up of cohorts of people dedicated to initiating and sustaining revival through developing and leading God-encountering prayer gatherings. 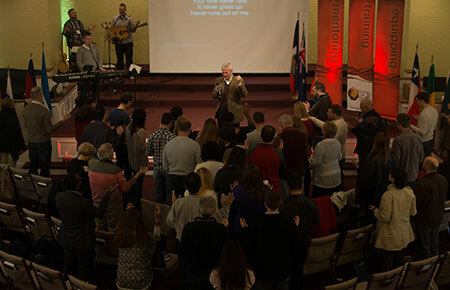 Each cohort is led by a member of the College of Prayer International Leadership Team and meets monthly. All RPI cohorts gather together annually for fellowship, prayer, worship and teaching. 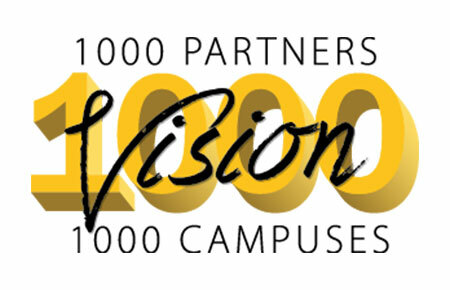 To help fulfill our mission, we have launched Vision 1000. Our ministry around the world is rooted in your gifts and prayers. Due to the continued catalytic growth we are experiencing, we launched a five year initiative in 2014 called Vision 1000. We are asking God to raise up 1000 financial partners and an army of intercessors to help support the growth of 1,000 campuses around the world. This is a faith-based initiative ... it is compelling, sustainable, measurable and visionary. We need your partnership. Please click here to see how you can get involved. 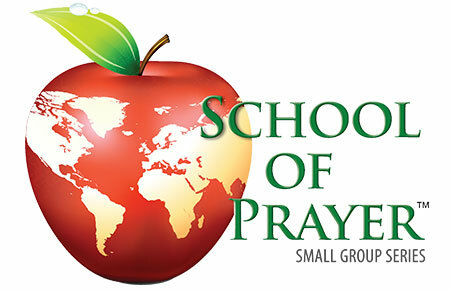 God has called the College of Prayer International to rebuild the Upper Room in every nation of the world. We want to see every local church have an Upper Room encounter with Christ. Just as Jesus spent three years training His disciples to pray, so do we. Just as Jesus built an Upper Room worship-based prayer meeting, so do we. Just as Jesus led His followers in the Upper Room for a fresh encounter with God, so do we. Our vision goes beyond prayer that revives the church. We want to see unreached people receive the good news of Christ. We are seeing this happen throughout the world where we have campuses that provide dynamic, God-encountering environments in which prayer, worship, study and spiritual mentoring take place.